Thieves and hackers are not the only threat to enterprise data. Forgetful employees and the sheer prevalence of mobile devices have proven to thwart even the most rigid of corporate announcements and policies. This white paper takes you step by step through how to ensure a thief will not collect any data from a stolen laptop or other mobile device. 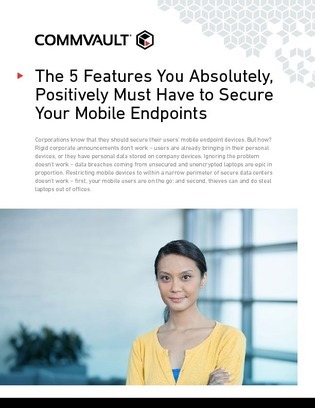 Access now for the 5 critical security features that you need to confidently secure mobile devices and protect the data on these endpoints.